A view of the central spine of the Gramvoussa peninsula looking South. The Bay of Kissamos is on the left. 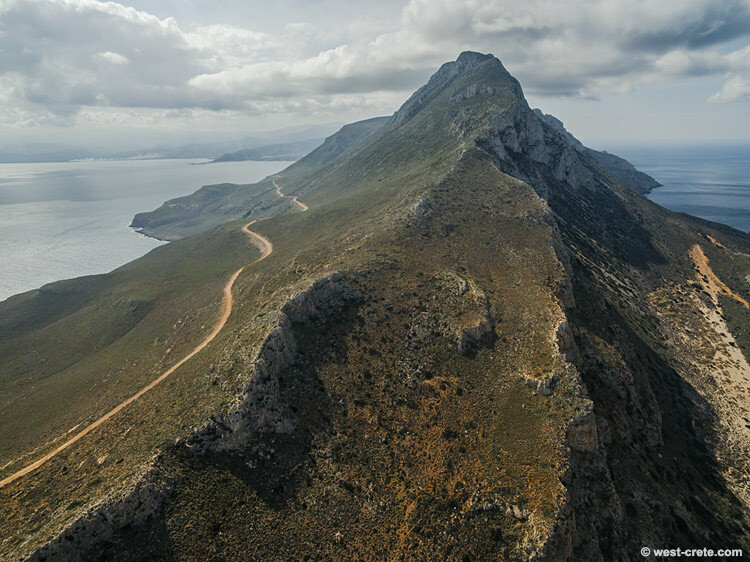 The road that leads to Balos Bay is clearly visible and ends more or less below where this photo was taken.